Google communicates about 200 on page, on site, and off site SEO criteria on which it relies. Subsequently, we are lucky because we can depend on this criteria, especially when it comes to off site search engine optimization. Therefore, the goal will be, of course, to learn these criteria, so that a site gets optimal SEO performance. Look at your 2018 SEO positioning strategy. What are the 2018 SEO positioning goals that you are targeting? 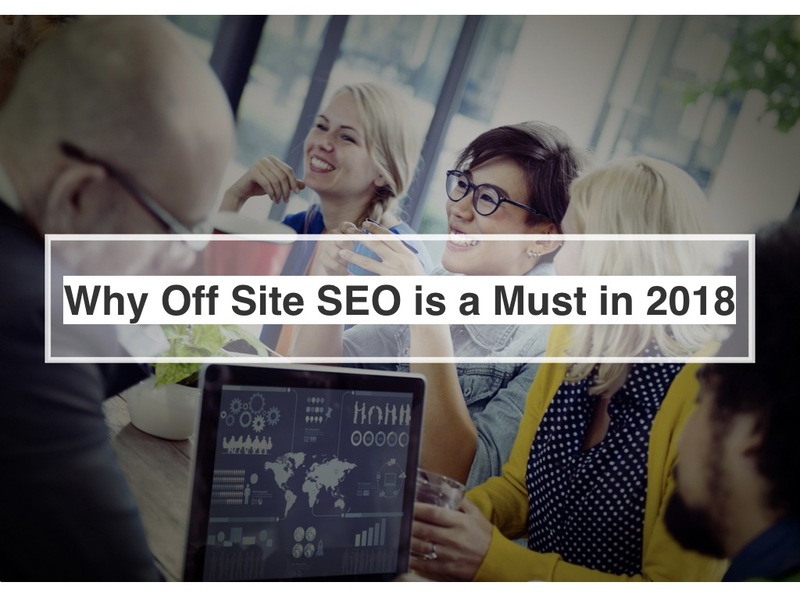 Offsite SEO often starts from market analysis and a marketing positioning of the customer that we compare with the keywords entered by users on the site. Customer Scout can, therefore, help you with your offsite SEO for 2018, a concept that is usually difficult to understand.Also, your titles, called H1, H2, etc., are recovered by the engines to understand and categorize the text of your page. Over time, some of these recommendations have become standards built into the engine algorithms. Also, the age of the domain is crucial, by default, the youngest or newly created domains are less well referenced than the domains with more significant experience. On the other hand, the more precise a term is, the more qualified your visitors will be, but the potential for more visits will be less. These may be people who want to find your website by typing your name in the search engines, to provide some examples. Do not forget that SEO is a playground where you have to know how to improve, test and adapt. Want to position yourself on a keyword or a collection of keywords? What you invest for a moment in time and tracking, brings you, from a given threshold, a minimum volume guaranteed in targeted traffic that you no longer need to buy. And content creation, what is that? To improve your positioning, your automotive industry editorial content must be unique, and the editorial content must be optimized. You should also do semantic optimization and avoid all duplicate content. Duplicate content can reduce the effectiveness of any content strategy. Many companies have already implemented a search strategy since they worked with web agencies whose promise was to position themselves in the first position in search engines. Remember, if the first ten results of the search engine results page (SERP) do not satisfy a user, they will immediately rephrase their request rather than continue browsing. Therefore, once the keywords and questions have been studied, the second step to optimize the SEO potential of our editorial line is to group keywords by the group.The best way to take advantage of the potential of the rich answers to questions by net users is to create as much content as you can. After that, everyone can achieve their goal to get the first pages and the first positions of search results. Therefore improve your SEO strategy, the basics of SEO is one of the most activated levers by businesses for web marketing. Thus, it is especially important to define a commercial strategy, its offer concerning demand and competition in a well-targeted market. The goal of any marketing strategy is to position oneself as close as possible to the supply-demand match. For many years, SEO summaries have been available on the web to meet the needs of beginners, to help them understand what is indexing a website and SEO. This SEO allows you to create the most flexible marketing strategy for your business. Video content is also very popular with users, and a video that is well done and well integrated into your website is a powerful vector to improve the traffic of your site. Google meanwhile will be interested in evaluating your links (and downgrade you in case of abuse). The technique of semantic silos makes it possible, at the cost of writing particular pages according to a well-defined structure, to optimize the target pages on these analytical expressions. What means are available to achieve this? Analyze how the best competing content is designed, and do much better, to create the best content. This advice will allow you to place highly in the results of user’s searches. To optimize your SEO, two significant families stand out with regards to the concepts of your website: the technical and editorial. But, we should also be aware that by managing everything, we end up losing all perspective and have less time to carry our projects. Therefore, use tools to accelerate your analysis. Do not miss out on SEO tools which give exciting information.Now you should also know that the longer the content is, the better it is. Today, a company should rely as much on SEO as on social marketing or partnerships with bloggers. These notions are merely due to the need of search engines to validate the consistency of your website. Therefore, you should want your team to grow by hiring people who are versatile and passionate about SEO. Customer Scout has the talented staff you require to provide your automotive industry site with the search engine optimization you need for 2018.